In Turkey this year the holy month of Ramazan has fallen during the hottest possible days of July and August. Believers have had to do without food or water for up to 15 hours a day while enduring daily temperatures in the upper 30s. We who don’t fast can only wonder. This fast is broken at sunset when the muezzin calls from the minaret to announce the time for the shared meal called iftar. It is actually quite a celebration and here where we are in our Aegean village, I know that all the neighbouring villages share huge iftar suppers which everybody looks forward to. As the afternoon light starts to wane, a certain buzz can be felt in the air: things start to perk up. One place it can be felt is at the local fırın or bakery where special Ramazan bread called pide (pron: pee/deh) is baked. 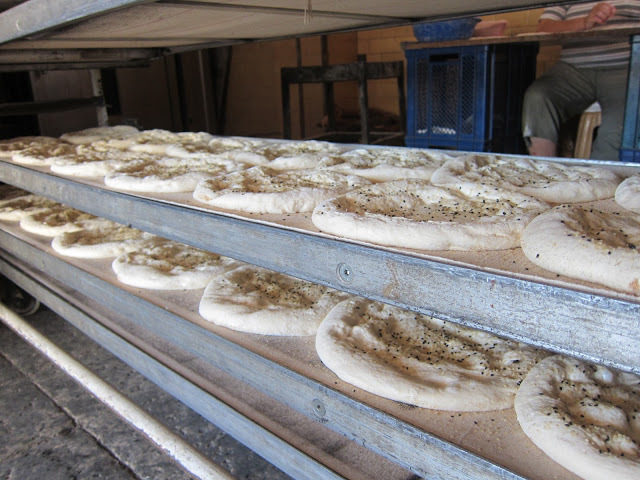 In fact, in our local bakery in Ayvacık, it is baked no fewer than 3 times a day! I bought one earlier this evening, it cost 1.25 lira or 44p. My family can’t resist it especially when it is warm and fragrant so I restrain myself and only buy one. If any of the family are in the car, that’s it, half of it will be gone by the time we get home! Yesterday in Ayvacık I went in to buy one pide but it was a bit early. I asked if I could see where they were being baked and they said in their usual friendly way Of course! So in I went and was lucky enough to witness the whole process – a real hands-on business, I must say! this type of pide is called tırnak pidesi meaning nail pide! 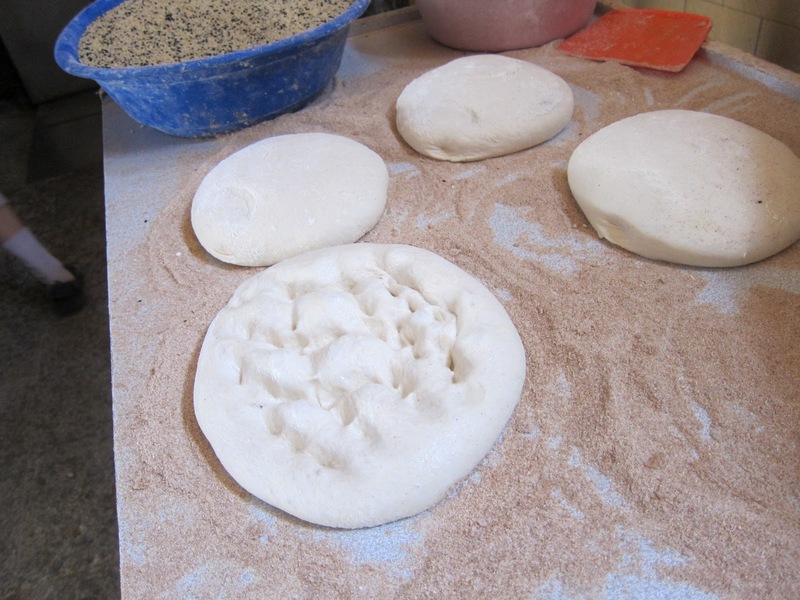 ie the indentations are made with fingers! Pide is very much part of the Ramazan tradition here in Turkey and is the bread of choice for both iftar and sahur, the early morning breakfast the people eat before daybreak. 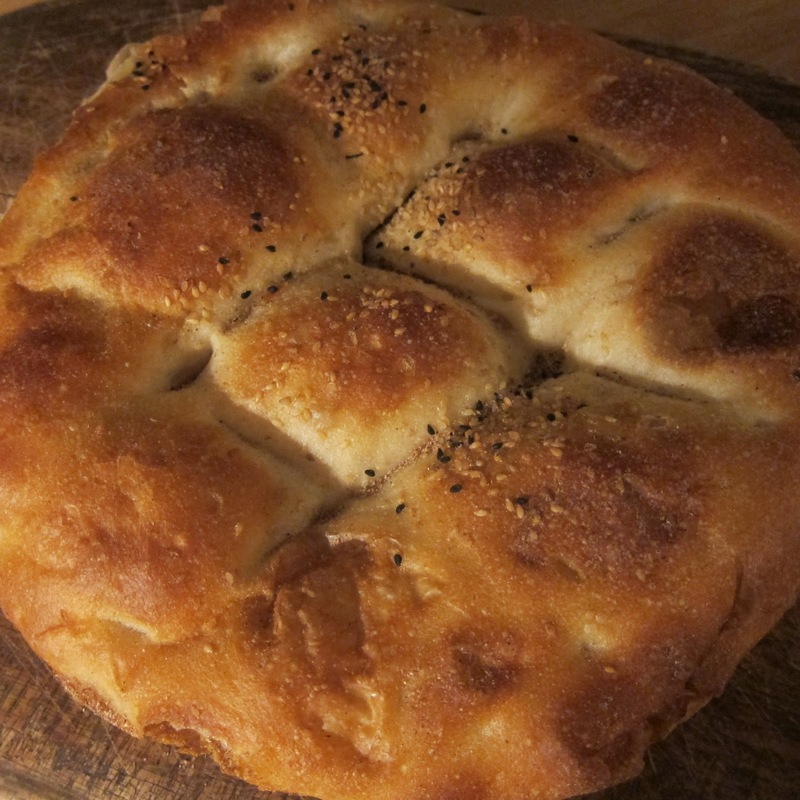 i love pide and have been baking it for the last year since i found all of your wonderful turkish blogs! That looks so delicious. I can almost smell them baking all they way here in Kansas! That looks so delicious! Thank you for explaining the significance of the bread. We have the same temperatures here in Malaysia and last year I decided to try out the muslims fasting during their holy month of Ramadan. I did it for 5 days. It was truly testing and I admire those who faithfully carry it out each year. Gosh Duncan, that's amazing. It must have been hard or testing as you say … do you get it? I liked this one so much that I republished (linking to your blog) on my site. I hope you don't mind. Love the photos. I love pide! We've been buying it from our bakkal about every other night and eating it with mezes for dinner. 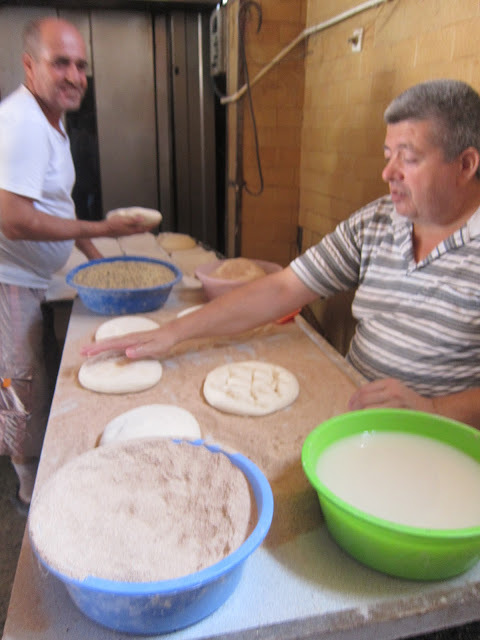 And what a treat that you got to see the pide being made! I have a lot of respect for those who are fasting during these hot months. Thank you for your interesting post. I particularly like the way people get together with neighbours and friends for the evening iftar meal. I can almost smell these delidious pide which I remember well from when we stayed with our friend in Güzelbahçe during Ramazan. Hi Cuisine de Provence! I have missed you! What have you been doing? Hope you are both well. Let us know when yo come back to Turkey, OK? 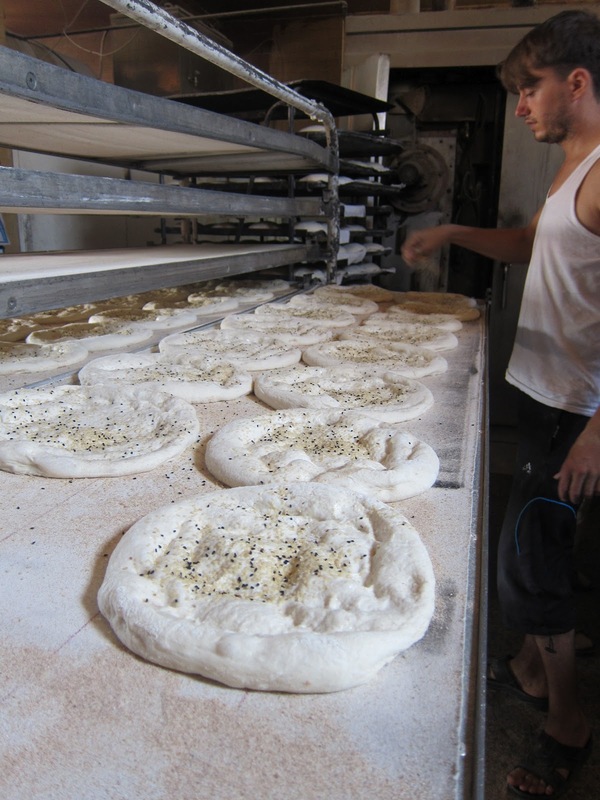 You know I would have loved to be there right beside you watching the process and of course trying the pide. At our local baker's here in Selçuk the baking of pide is a contiuous process throughout the late afternoon and early evening during Ramazan. As one paddle full of pide comes out of the oven and is served up to eagerly waiting customers, another paddle full of pide goes in. One baker shapes the dough into rounds whilst another makes the dimples and a third loads and unloads the oven. There is another worker who keeps the accounts and slides the hot pide into paper wrapping and the compulsory plastic bag. oh what a lovely description! We are lucky to be part of all this,don't you think?